Book Lover. Nothing else matters! Silicon India has listed Kwench as one of the entrants into their 50 Fastest Growing Companies – 2017 List and we are mighty pleased. I refer to the write-up to particularly explain the two important terms in that shortlist – Growing and Fastest. 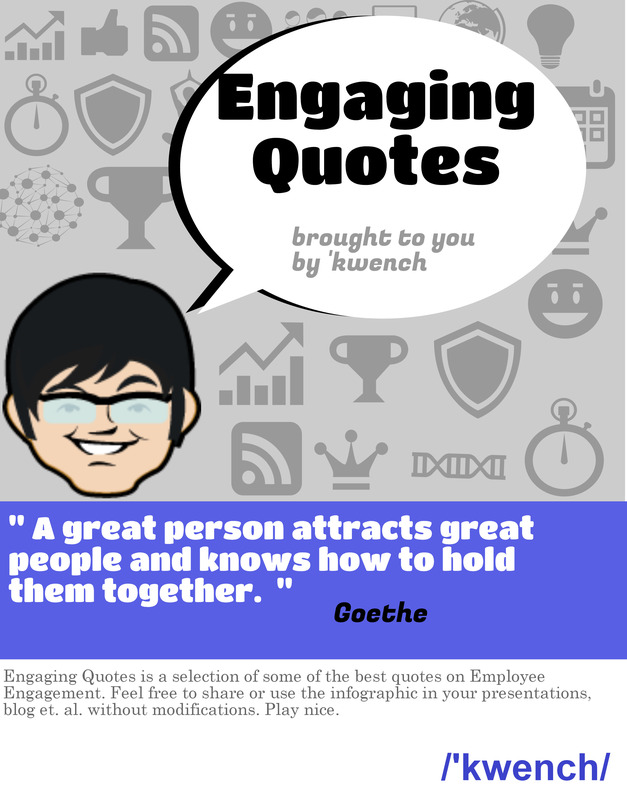 We liked it so much that we have used that post as a reference to make some quick Flashcards for you to use as reference on a daily basis as you go about your work or create communication about Employee Engagement. Feel free to use these in your emails, posters, presentations, mailers et. al. 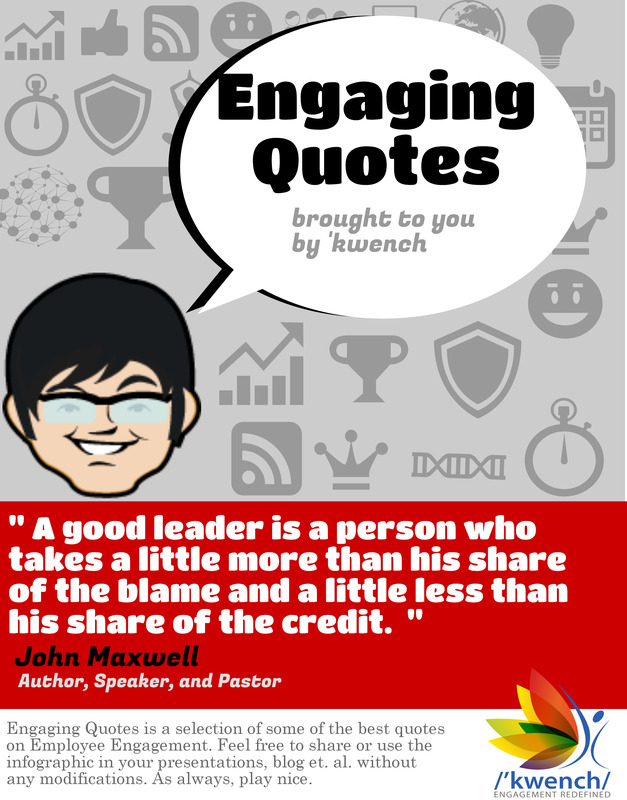 Download the full set of cards here or copy the URL: http://get.kwench.in/kudos_10csemployeeengagement_/ into your browser. We know women work magic all the time – and here is a chance to really jazz up your wishes for tomorrow on Women’s Day. 5 cool badges to use in your emails, IM or set as your DP (let the world know what you are!). For those who just can’t get the words out right, we got you covered. Select one of the eCards and you are all set! 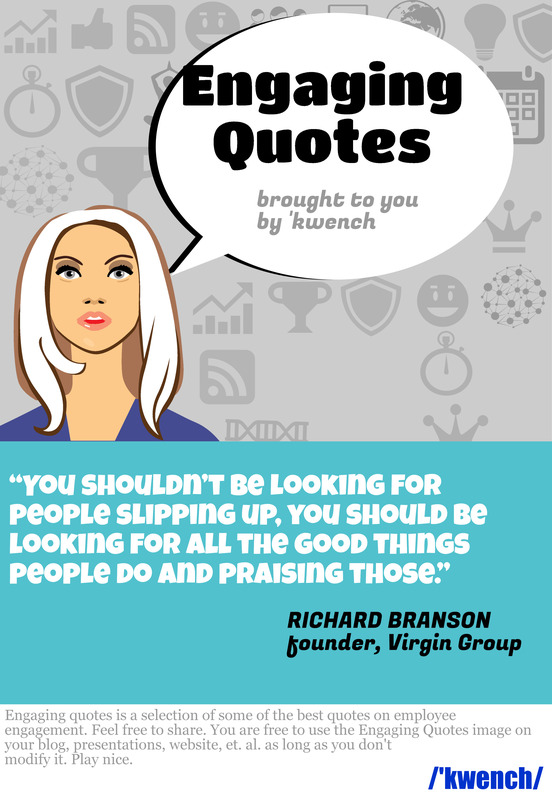 Happy Women’s Day from all of us at Kwench! The ‘kwench gang wishes you a very Happy Holi. We hope you have lots of fun getting drenched and splashed in colour and revel in the hundreds of shades of joy. The Answers are below the questions. Come play next week. 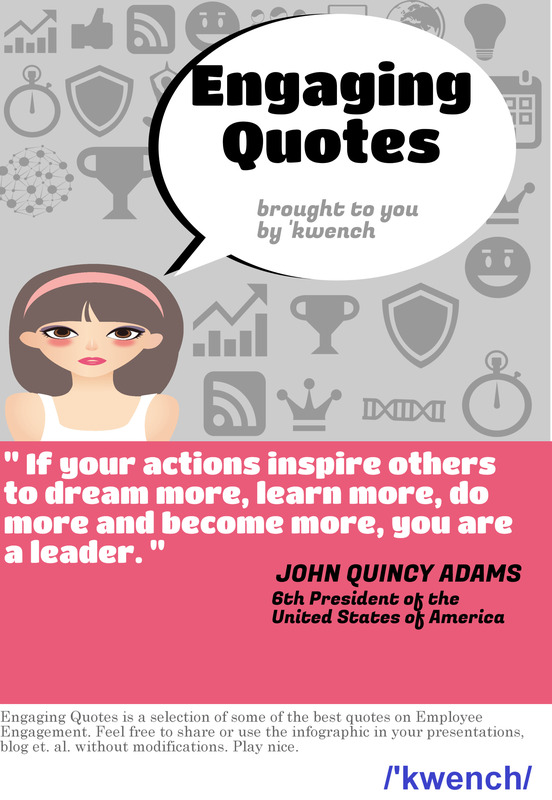 Follow @kwenchlib on twitter and stay tuned. 1 Q1: Vinod Rai, former CAG of India is often referred to as a crusader against corruption. What was the title of his book? 2 Q2: Kiran Bedi had two bibliographies written about her. “Kiran Bedi, the kindly baton” was one. Name the Second. 3 Q3: The adventures of Asterix was written by Rene Goscinny. Who was the Illustrator in the 2-man team? 6 Q6: Jhumpa Lahiri’s debut short story collection won the 2000 Pultizer Prize. Name the book. 7 Q7: Phantom comics have been a favourite of children for decades. Name the Creator. 8 Q8: Name the Brand:World’s largest travel guide book publisher.HQ:Australia,Accquired from BBC by American Billionaire in 2013. 9 Q9: Dan Brown is famous for his novels Angels&Demons and The Da Vinci Code. Which was his first novel? 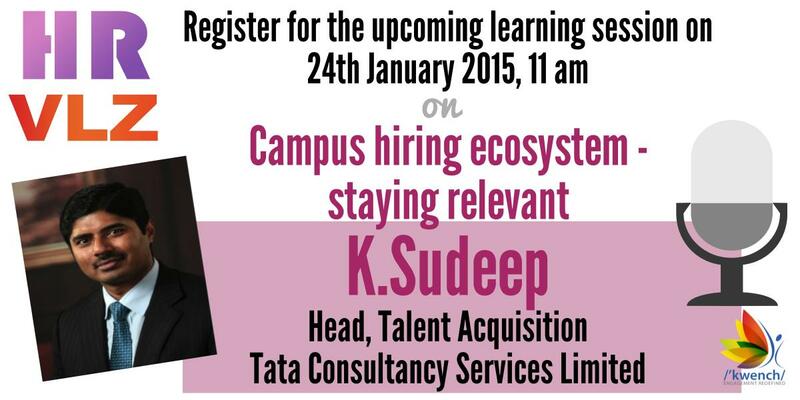 Sudeep Kunnumal is the Head of Talent Acquisition for Tata Consultancy Services Limited since May 2009. 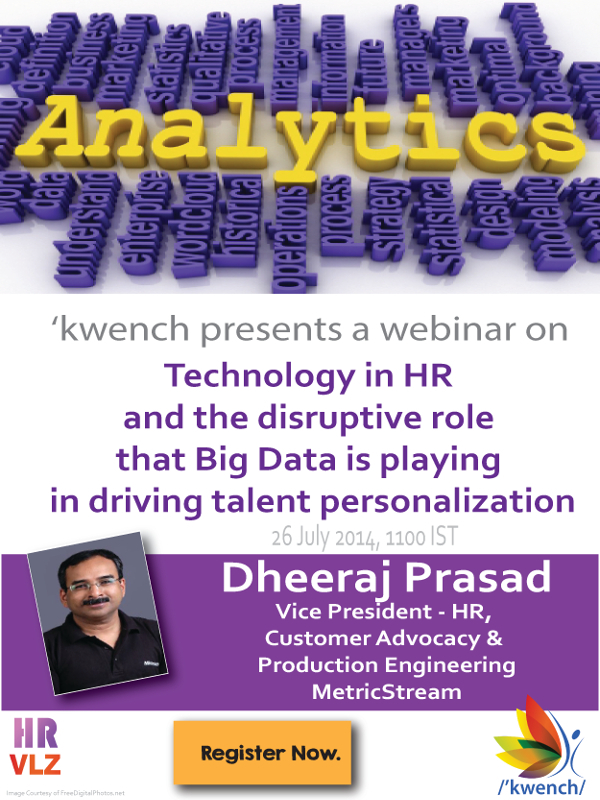 Prior to this he was the Director HR for TCS Europe based in Amsterdam. In his previous roles Sudeep was heading the Immigration function for TCS in the North America geography and was based in Washington DC. Sudeep has been associated with TCS over the last 14 years. He has worked with the Matsushita Industrial Corporation and with Ciba Specialty chemicals in India in the past and has over 19 years of HR Experience. Sudeep has done his masters in Human Resource Management and Post Graduate Diploma in International Business and Strategy from University of Amsterdam in The Netherlands. Sudeep’s profile features as one of the most powerful and viewed profiles in the Human Resource category across the country on LinkedIn and was also awarded “HR PROFESSIONAL OF THE YEAR” 2012 – 2013 by Employer Branding Institute – India. Run for your lives! The Devices are coming! Cyberman: Daleks and Cybermen; together we can upgrade the universe. Dalek: You propose an alliance? So, here is my no-brainer statement for (rest of) the year. The devices are becoming omnipresent. 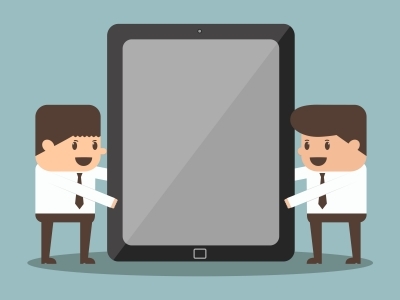 First it was mobiles, now eReaders and wearable-tech are threatening to take over. With Google, Facebook and other companies working on means to track everything you search, type, say and do, the devices will soon be omniscient. And if some of the people are to be believed, they will be omnipotent without much delay. Such dreadful depressing thoughts on Christmas Eve! Actually, its Christmas that got me thinking about devices in the first place. Last week it struck me that gifts had to be bought! I head to the local mall (buying Christmas gifts from eCommerce sites is just plain wrong even if it would save me a fortune), ignore the marketing masterstroke of the soft-drink company that has rendered Santa and everything about Christmas Red and turn to the store of my favourite gizmo peddler. This year, the display case was covered with eReaders and tablets. Even mobile phones and SLR cameras (last years top sellers) were hidden somewhere in the corner. All I could see was Kindle, Nook and iPads of all sizes and shapes (and prices). It was hard to see how much longer the dead-tree publishing industry could fend off the onslaught. As eReaders (and wearable tech) are becoming mainstream, studies into their effect on people are being conducted with gusto. The latest buzz is the one by Harvard Medical School found that eReaders have an adverse effect on the sleep hormone melatonin. There are concerns about radiation from wearable tech like pedometers and smart watches too. Wow! That’s categorical. I have often wondered what people really love so much about books in the print form. Is there really something special or is it just a result of conditioning – most of the people who swear by the printed version are ones who really haven’t seen any other version till quite recently. Now I was hooked. I did some searching about the source of the book “smell” and quickly realized that it is a grossly under researched topic. Well long story and many dead ends later it boils down to the fact that the “intoxicating” smell of a new book is largely a function of the paper and the chemicals used in its preparation, the ink used for printing and the glue used in the binding. That smell might actually be intoxicating without people realizing it (Glue-and Bleach- sniffing anyone?) – of course the quantity is too small to do any permanent damage. And the old book smell? Well it seems that acid hydrolysis (due to the breakdown of cellulose in the paper) and sometimes moss (if stored in moist conditions) contribute to that effect. So, the biggest barrier to eReaders taking over seems to be more psychological than actual problems with the technology. You can lend eBooks now on Kindle, you can sell eBooks, you can carry thousands of books in one small device (try lugging your bookcase onto a flight! ), you can order books at your whim at 2 in the morning (Amazon and others sure hope you do a lot of it), you can read reviews before you order the book, you can read snippets, you can browse endlessly. In short there is no plausible reason for printed books to continue ruling the roost. Well people can’t explain why oil prices are suddenly tanking. But they are. That’s the problem with people – they seem to have a mind of their own! 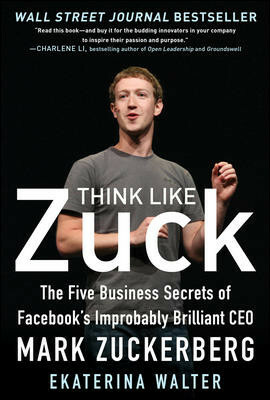 Come on, the man knows the answer to the ultimate question, surely the future of eReaders is no big deal to predict. Oh and by the way: Merry Christmas! 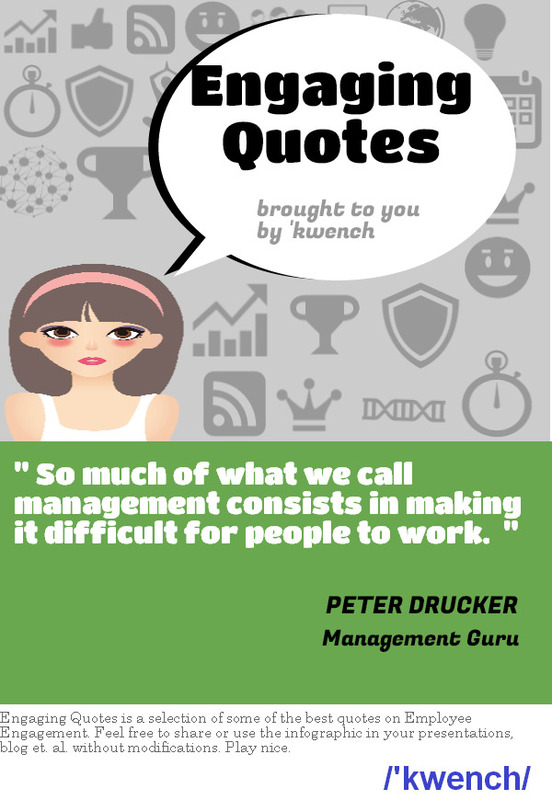 As we rolled out the all-new version of the Kwench Library in the Kwench Employee Engagement Platform over the weekend, I got thinking about the reading preferences of people. 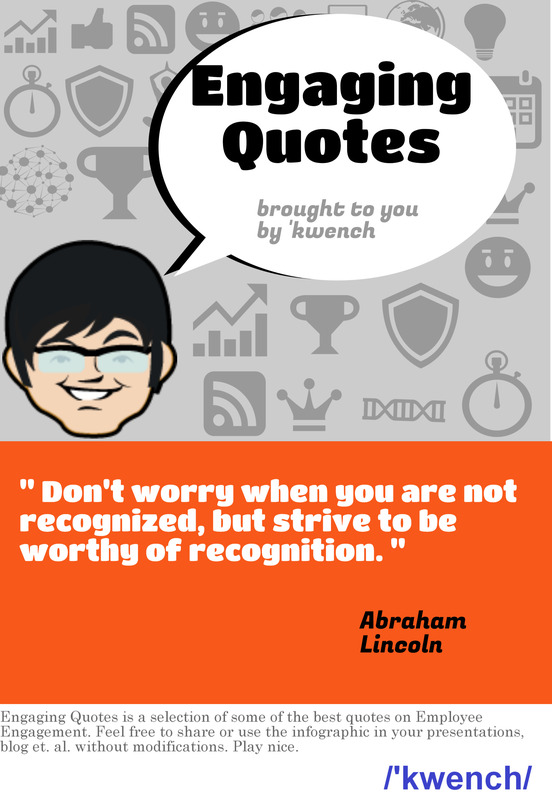 On kwench we have over 300k users who love to read all kinds of books. The dashboards offer an unparalleled insight into what “Corporate India” likes to read and sometimes data can prove popular perceptions wrong! Now I am a big fan of fiction. My reading habits have been formed with spending countless hours poring over comics and then graduating to novels. Mark Twain, Charles Dickens, R.K.Narayan, Conan Doyle, Ayn Rand, Agatha Christie; Alistair MacLean all had a deep influence on me at various stages of my life. By the time Dan Brown, Rowling and Tolkien got published I was an adult, but I was more than happy to read those books too. Ever so often I wondered why these rather imaginative and intelligent professionals didn’t feel the thrill of being transported to another world. How can following Holmes or Poirot as they go about solving a murder not be exciting? Or how can the antics of Swami and his friends not transport the reader to a small town in pre-Independence India? Interestingly I came across an article in the Sunday Review of the NYTimes – titled “How Reading Transforms Us”. Finally some research that seemed to back up what I had felt intuitively all these years. The effect fiction has on readers is very different from that of non-fiction. I had to read more. The rest of this post is essentially a short synopsis of the research by Maja Djikic et al. of the University of Toronto. Researchers have been pondering over the difference in the impact fiction and non-fiction has on readers. Bal and Veltkamp have proposed that fiction is ‘engaging and of emotional interest’. Put in other words, fiction is capable of generating emotions whereas non-fiction due to its informational nature might be engaging but not necessarily associated with emotions. Simulation of complexes of several processes: Stories involving relationships and social interactions is often based on complex interactions. It is the implicit understanding of those complexes that improve the reader’s appreciation of the situation (and hence the story). These ‘fictional simulations’ enable the reader to imagine possible situations and outcomes thereby belying the popular assumption that fiction is simply a description of some sort. Simulation of empathy: When readers interact with an engaging story, they understand or empathize with the emotions of others. In an experiment, researchers asked readers to read a Sherlock Holmes story and the control group was given a non-fiction piece of the same length that was based on newspaper reports. Interestingly the readers who were deeply involved in the Sherlock Holmes story became more empathetic while those who were less involved actually became less empathetic. Such effects were not seen in the control group. The theory-of-mind: Researchers have proposed that an important aspect of reading fiction is to work out what the characters are feeling or thinking. In a very interesting experiment, Speer et. al. had people read a short story while being scanned with a fMRI (a functional Magnetic Resonance Imaging) machine. When in the story the protagonist pulled a cord to turn on the light, the part of the reader’s brain associated with grasping objects was activated. The very interesting observation that Djikic and others present is on the Change of Cognitive Empathy among the participants who had low ‘Openness’. There was a marked change in the empathy levels of those who have low openness and read a short story instead of an essay. The study also found that people who had been reading fiction for at least five years scored higher on the Interpersonal Reactivity Index. To sum up it seems that those who read fiction are more responsive to social cues and are able to better empathize with others. Much more research needs to be done before we can start generalizing the conclusions. 1. How Reading Transforms Us, Keith Oatley and Maja Djikic, Sunday Review, The New York Times, Dec 19, 2014. Its official! The New Kwench Library is Coming! Now I can yell “Yipee!” and say “Yes! 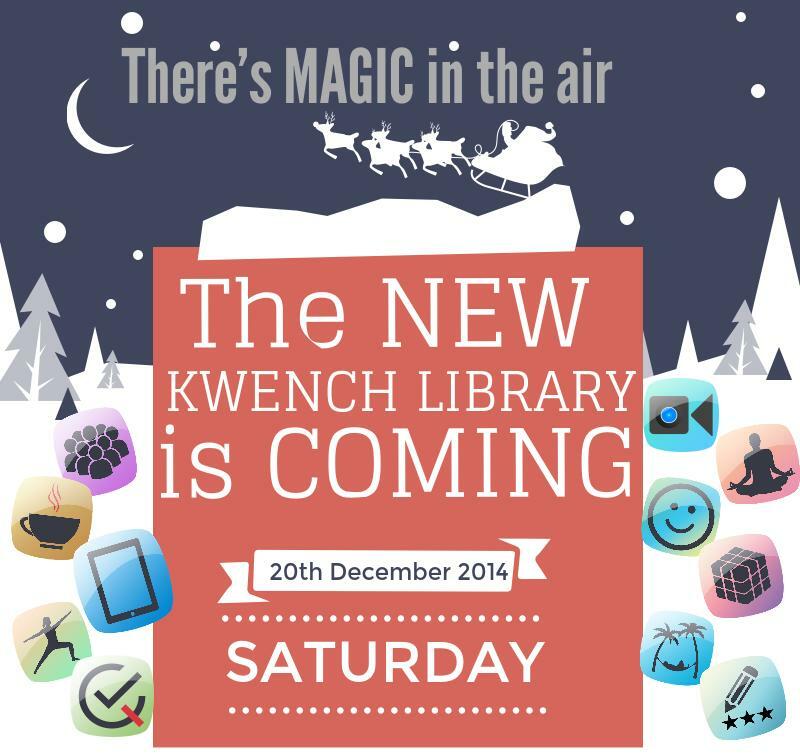 its TRUE!.” The Kwench Library is undergoing the most exciting transformation and you (members) get to see it tomorrow! Now I will stop dancing and go issue apologies to all those I refused comment these past few months. 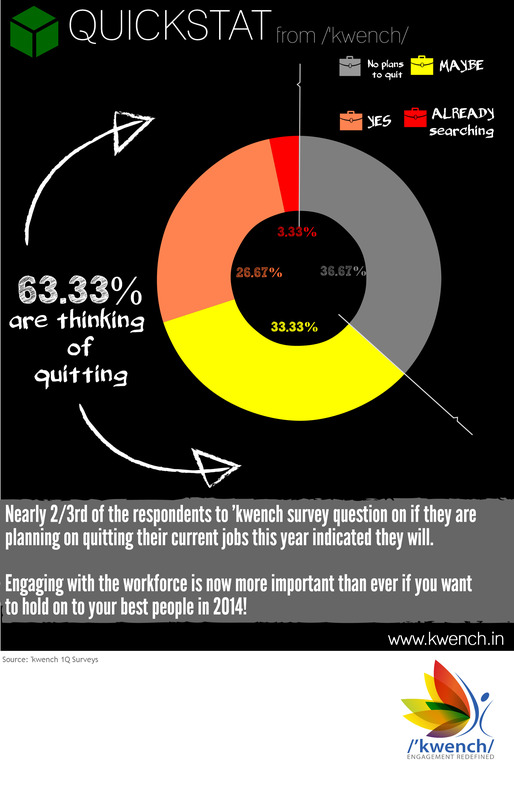 And you login to kwench tomorrow and prepare to be awed! Ah! Seth Godin. That guy who writes about things like Purple Cows. (Think screeching brakes on the road when you do a double take). 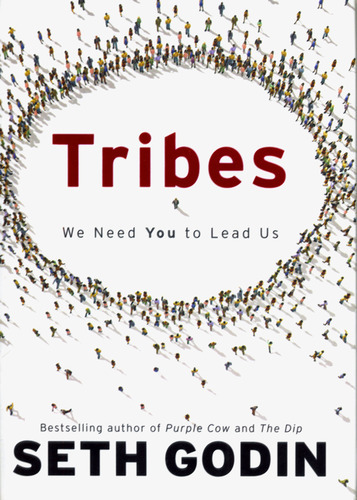 So here we are with the book of the week – Tribes! 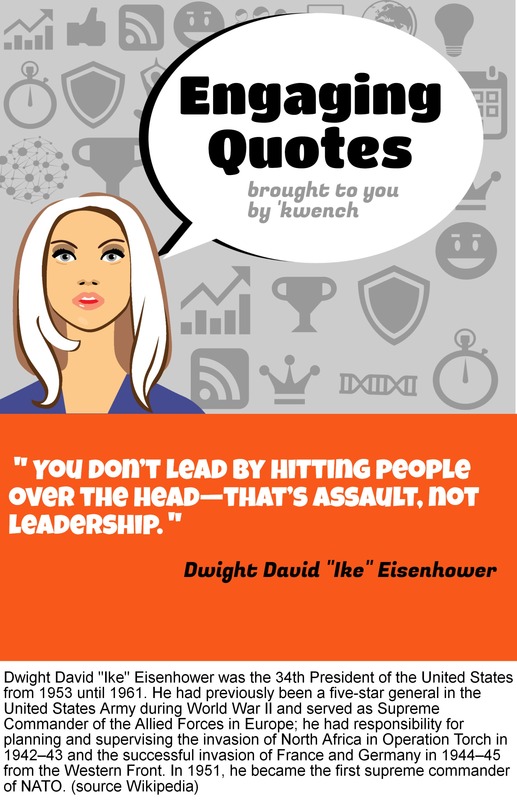 This is not a “how-to” book on leadership. Let me repeat that – this is not a “how-to” book. But then Seth doesn’t write how-to’s with pyramids and circles and lists. His style is to make short statements that force you to think and this book is no exception. 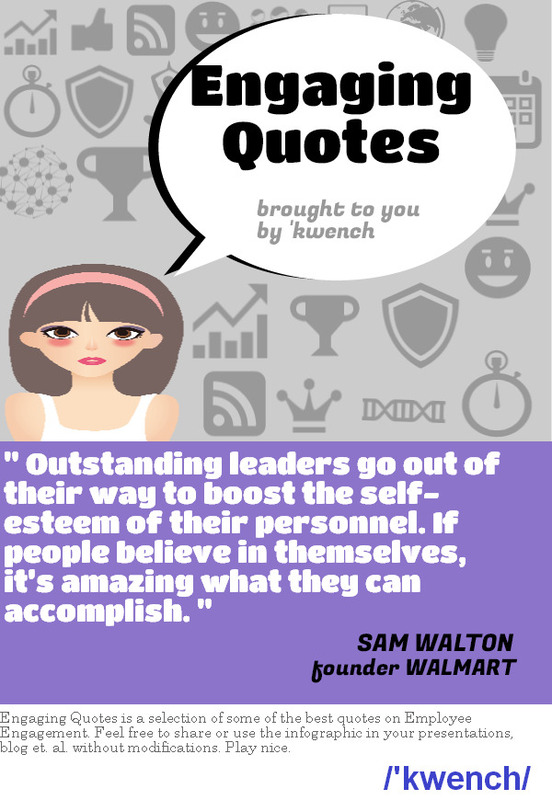 The book talks about tribes (groups of people who come together around an idea or something they are passionate about) and the need for a leader – someone who can ignite that spark and keep people motivated. If this is starting to sound a lot like Social Networks, Employee Engagement, Enterprise Collaboration, ERGs then that’s because those concepts are not very different. 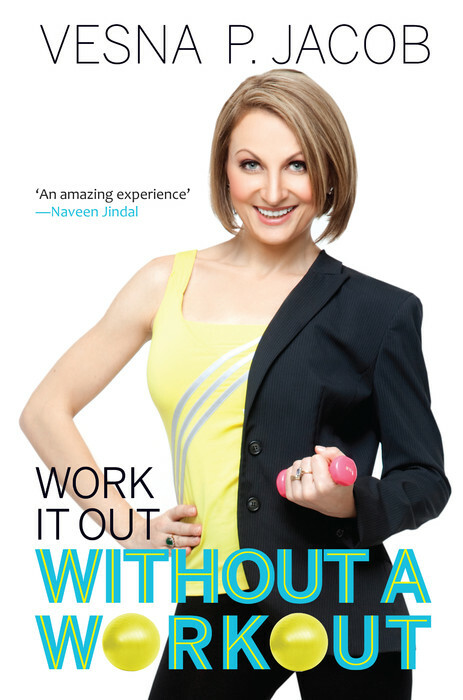 So if you are looking for a quick read (albeit a bit repetitive) and a solid dose of motivation to get off the chair and start something you are passionate about – this book is for you. If you are looking for a workbook with plans on how to create excitement and spread ideas, you want to give it a skip. There are books that claim to do those things, this one doesn’t (claim or do it too). Here’s Seth himself talking at TED about ‘The tribes we lead’. 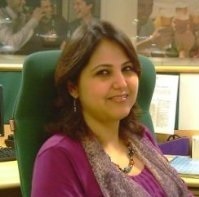 Seema Bangia, a Human Resource Professional graduated from First Business School, Chicago, USA in 1988 in HRM followed by a post graduation from Delhi University in Economics and Business Studies, 1991. Presently she is working with Mahindra Defence System (A Division of Mahindra & Mahindra) as Head – HR. 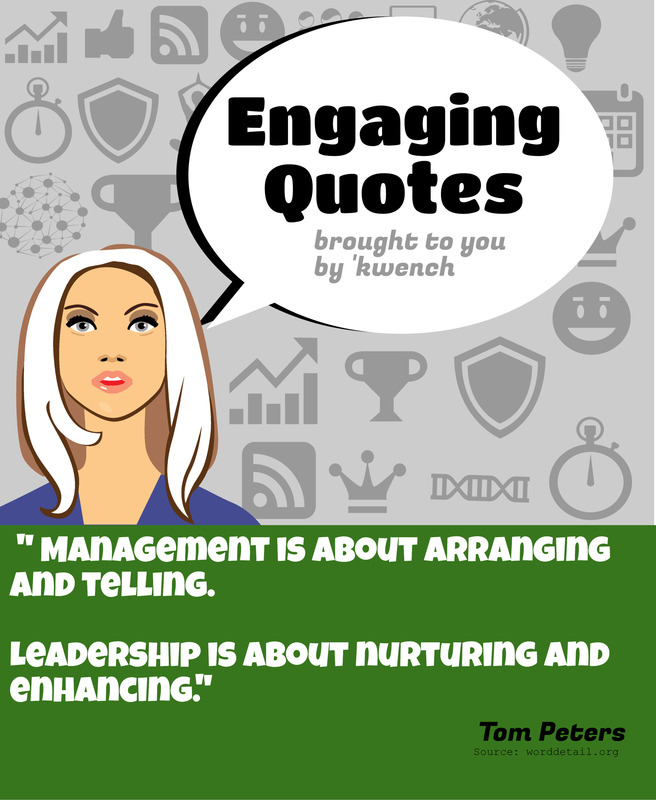 She has Co-authored a book on Management Competencies – 18 Management Competencies – A Business Professional Cannot Ignore. 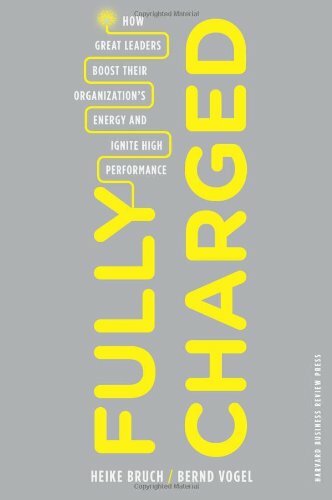 Fully Charged is a book that explores the concept of Organizational Energy (OE) and its significance in keeping employees engaged, alert and focused on organizational objectives. The authors provide a guide on how to accurately measure your company’s energy state using the “Organizational Energy Matrix” along two axes (Intensity: High, Low; Quality: Positive, Negative). 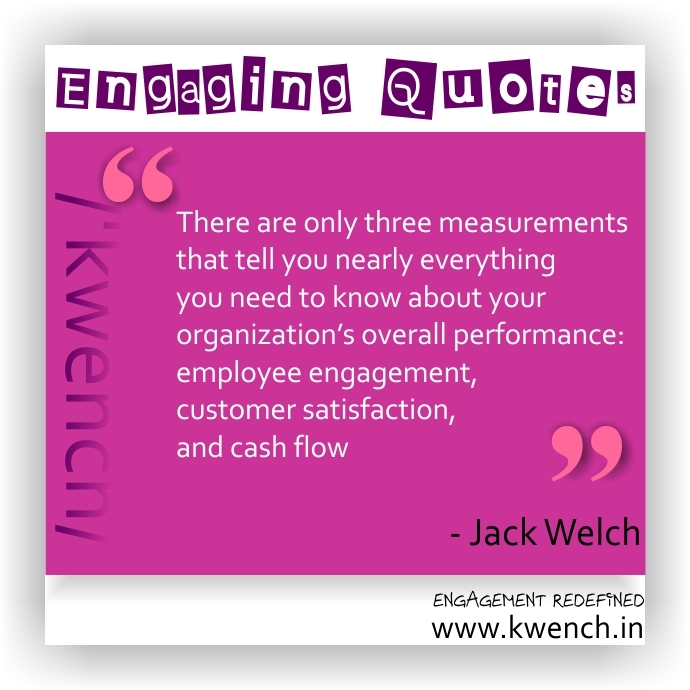 Then the authors go on to provide answers to questions like how does one identify the components of organizational energy, how does one measure the level of OE, how does one increase the level of OE, how does one decrease the negative energy in the organization. 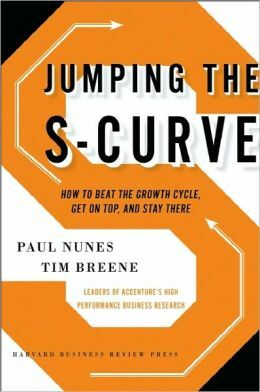 A must read for all leaders and managers. Here’s a video of the interview of the authors. Dheeraj has over 25 years’ experience in Talent Management, Education, Business Development and Global Technology Services. 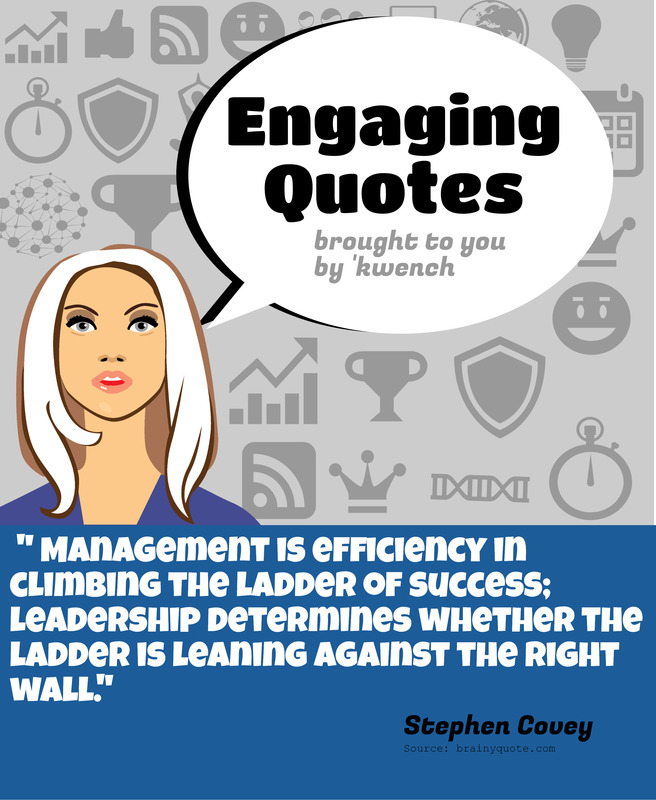 He brings a unique experience of both HR and Business leadership. He is leading the global human resources function as well as customer advocacy, as the Vice President & Head of Human Resources, Customer Advocacy & Production Engineering Operations at MetricStream, a Global Technology Leader in GRC – Governance Risk and Compliance solutions. He has been a community and organization builder and has successfully led transformational start-ups like Andale Inc. in India, and Global Services teams in large technology companies like Symantec Corp and Microsoft Corp. 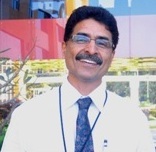 In his most recent role, he was heading the education business segment at Microsoft India. 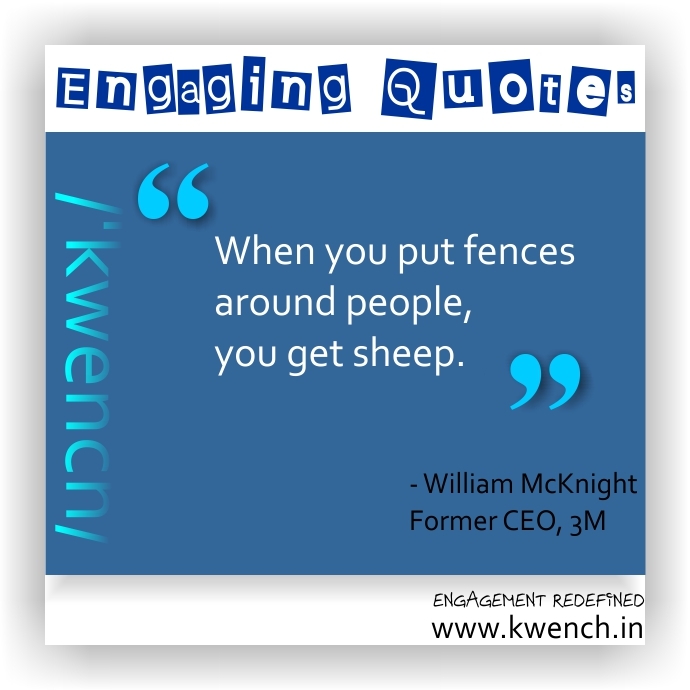 An industry leader, he founded the Enterprise Product Support Group under NASSCOM. He also chaired a Global Talent Community on Talent Management in India under TSIA (Technology Services Industry Association), a worldwide industry group for technology services companies. He has been a regular contributor on themes such as Talent Reclamation, Talent Staging, Classroom without Walls and Emerging Careers in national dailies and international journals. Also been a Panel Speaker at TieCON Delhi 2011 Education & Skills Panel and other Industry Meets and Roundtables. Dheeraj also presented the Global Study on Talent in India and Emerging Markets at TSIA Leadership Summits in Santa Clara and New Orleans. Dheeraj is passionate about communities, co-creation, education and youth power. He was awarded by Microsoft with an MVP Award for Management Excellence for his contributions in strategic thinking and deployment of Management Development initiatives and building the Community for Management Excellence. Relations from University Business School, Chandigarh. He has also completed his Bachelor of Law from Punjab University. 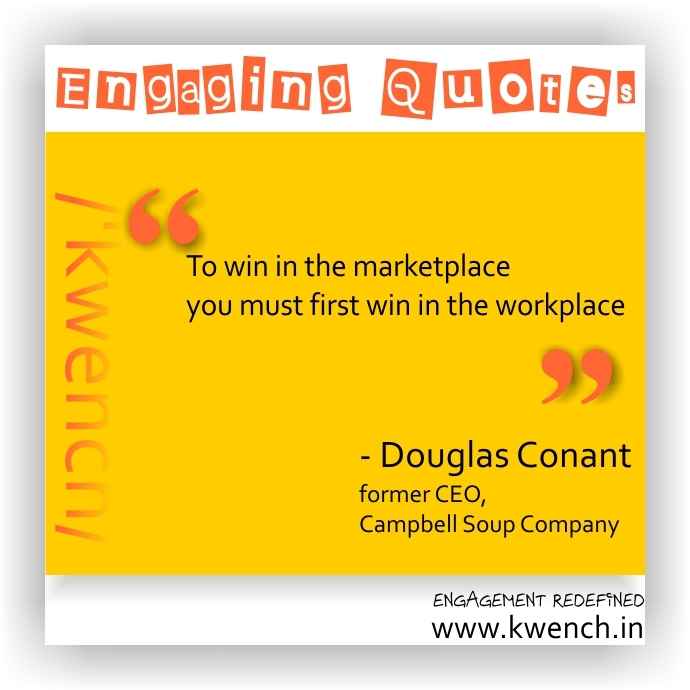 He has 19 years of experience in Indian and Multinational Companies. Harsh leads Leadership Acquisition and Development for Tech Mahindra, looking after all facets of Leadership hiring and development globally, including the ‘Global Leadership Cadre’,‘Young CEO’ programme and the Learning World for the Organisation. 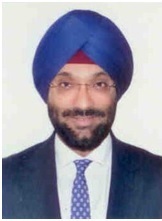 Before moving to his current role, Harsh was the Chief People Officer for Fortis Healthcare Limited, based out of Gurgaon, looking after all areas of Human Resources. Prior to Aditya Birla Retail Limited, Harsh has worked extensively in the introduction of innovative HR Processes and Policies in Bharti Enterprises where he held many senior positions in the Corporate Office where he was designated as Senior Vice President – People Excellence before moving as the Head – HR for Bharti Retail Ltd.
Harsh is passionate about sports, loves to travel and describes himself as a creative and a high energy person.Harsh is Married to Mansi and they have a lovely daughter Inayat. 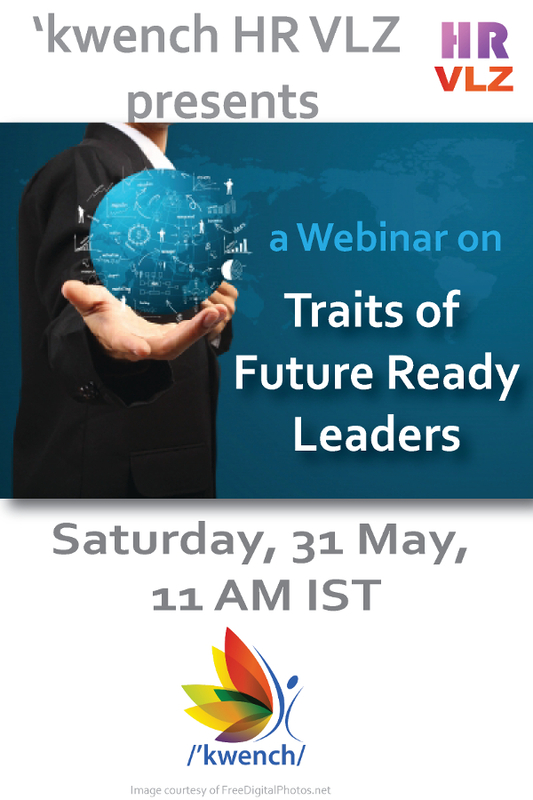 Join us for a webinar on “Creating Leaders – the HR Way”, focus on a holistic HR approach towards organizational strategy. 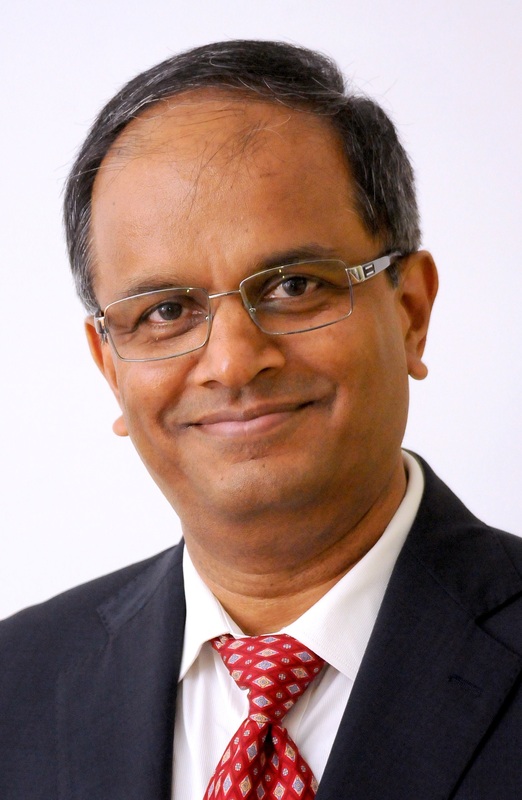 A. Krishna, Senior Vice President (HR), Bosch Ltd.
Mr. Krishna is a Science graduate and a Cost Accountant. He started his career as a Management Trainee (Finance) in HAL. He held various capacities in the plants and in the Corporate office in the accounts/ finance / controlling / treasury departments. Raghavendra currently holds office as Vice President and Head of Human Resources (HR) and is in the Executive Council of Infosys BPO. 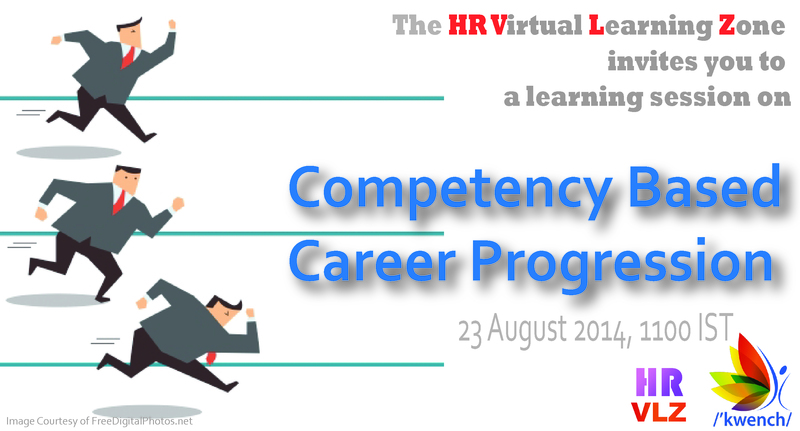 His expertise lies in aligning HR’s functional role to dovetail business plans. His areas of interest are development of HR competencies, managing cultural diversity and change management, especially in the context of mergers and acquisitions. He has created strong synergies between performance management systems and employee development platforms, ensuring that Infosys has a readily available and competent internal talent pool to meet business challenges. A strong proponent of the “Learn while you earn”, he has institutionalized a number of interventions whereby there is a huge value add for a person to move up the value chain while continuing to pursue one’s career. 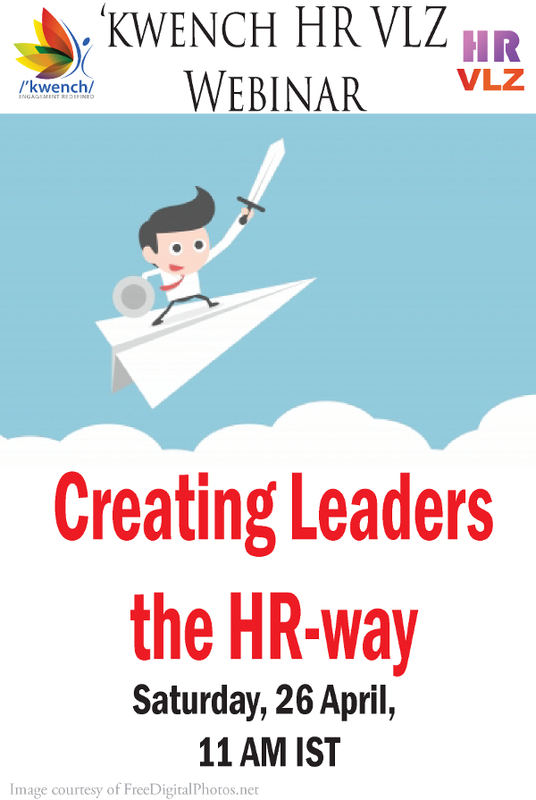 Raghavendra has anchored numerous initiatives to support the development of strategic Human Resources (HR) and is a frequent speaker in HR thought leadership sessions and seminars in India and globally. Raghavendra comes with a wealth of experience of over 28 years straddling different industry verticals and organizations such as J.K. Synthetics (core manufacturing and process), Blue Dart Express (service industry) and Ramco Systems (IT), and was last heading the Human Resources function at Strides Arcolab Ltd. (pharmaceutical operations and R&D) before joining Infosys. He is a commerce graduate and a PG Dip (Hons) in PM & IR from the Madras School of Social Work. He has also undergone the 1 year AMP from IIM Bangalore. Please register using the below URL. There are no charges for the session! Take a look at the fun engaging quotes video we have created for this post. 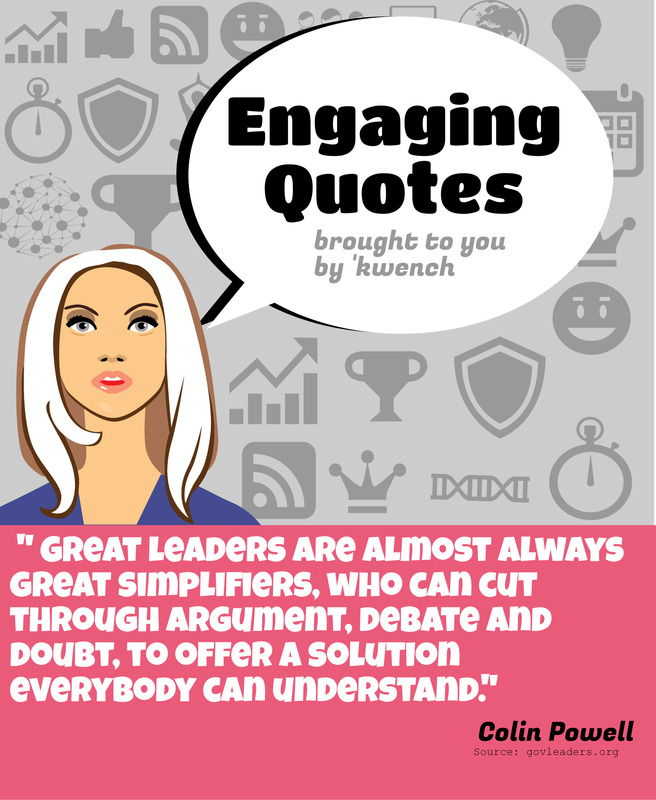 Social Learning– Need to know or Good to know? 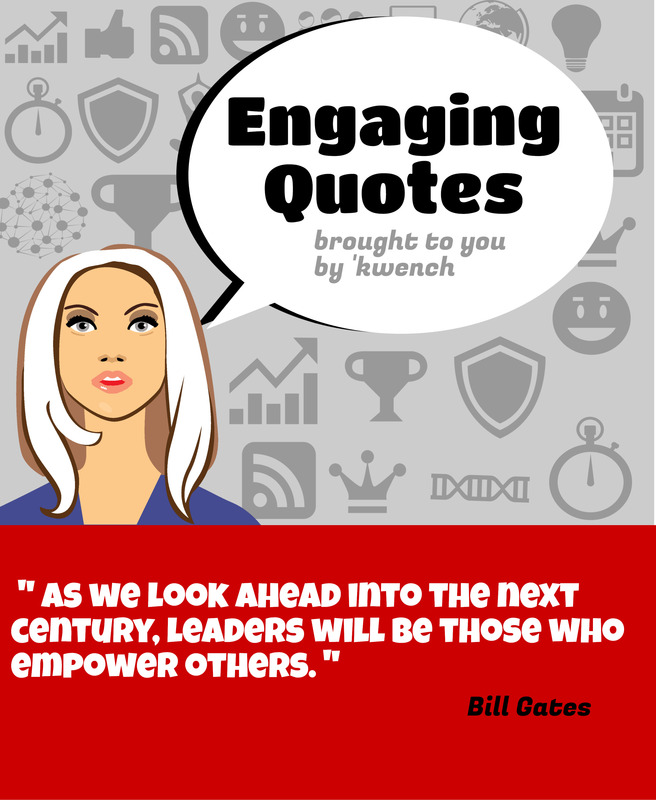 · Social Learning – Means or End? · Social Learning is only for techies – Not really! · Connect, Create & Brand! February 22, 2014 at 1100hrs. 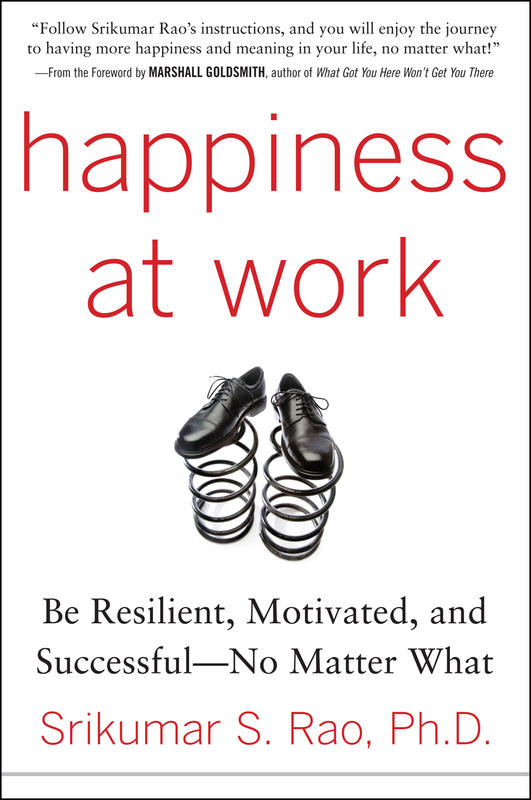 ‘The Art of Happiness at Work’ written by HH the Dalai Lama and David Cutler, released in 1998 explored questions like “Where does work fit in to our overall quest for happiness?” and “To what degree does work satisfaction affect our overall life satisfaction and happiness?” The book was deeply rooted in Buddhist principles, especially that of “right livelihood”. The goodreads description of the book captures the layers and depth of this book very well. The discussion appears simple, if not obvious, at first, but upon closer scrutiny, the Dalai Lama’s profound wisdom and sensitivity emerges. For the Dalai Lama, basic human values such as kindness, tolerance, compassion, honesty, and forgiveness are the source of human happiness. 35 short succinct chapters with titles like ‘Don’t stick a label on it’ and ‘Let it go – babies do! 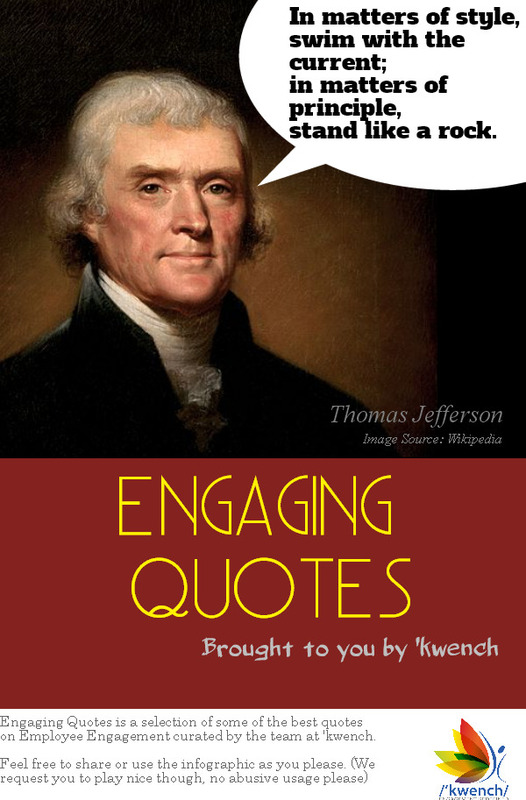 !’ make this book very readable. We rate it a 3.5/5 on content and 4/5 on readability. Top 10 of any genre’ is a very difficult list to come up with. There are books that are legendary for being up there on every Top 10 list for years on end and then there are sales numbers that stores and online book retailers need to worry about (wink wink). So this year, we decided to take an data driven look at the top 10 Non-Fiction and Fiction books that corporate India liked. The ranking is only for titles published in 2013. Unburdened with such problems as warehouses full of unsold books, we arrived at the ranking based on popularity, rating, and some secret sauce involving return times, likes, book requests and others. So here we go with the first installment of the Top 10 – the Non Fiction titles – listed in reverse order. Forget the fancy business talk, and let’s get all earthy. Dhandha is what it’s all about. A collection of stories about Gujarati businessman around the world who made tons of money doing what seems like unglamorous stuff. Jaydev Patel who sold insurance policies worth $2.5 billion (that’s a b! ), Bhimjibhai Patel who founded the Diamond Nagar in Surat, Mohanbhai Patel who makes collapsible aluminum tubes and oh, was also the former sheriff of Mumbai. The book does a great job of covering the common traits of ambition, the knack for business and the ability for hard work that makes the community successful businessmen. Forget everything else, ‘dhandha ni waat karo!’. The readers just love this book and it opens up our top 10 list. This book could almost be in the fiction list. 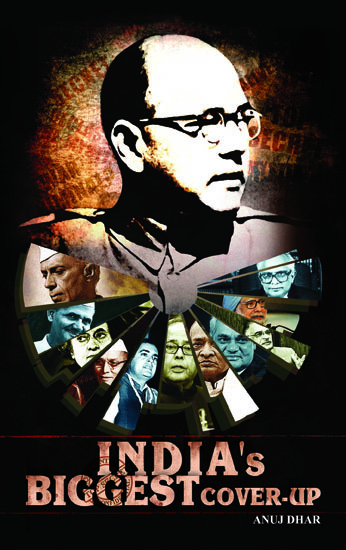 The blurb of the book says that “India’s biggest cover-up”, investigates the Bose mystery and its stranger than fiction subplots like never before. Relying on official records, archival material and information obtained under the freedom of information acts from across the world, the book uncovers a systematic obstruction of justice by the Indian establishment. Author Anuj Dhar piles up, freshly unearthed facts and insights invalidating the air crash theory, supporting the line that, Bose escaped towards Soviet Russia with help of the Japanese. The book dwells at length on the curious case of Bhagwanji, a cigar chomping holy man—who called himself “Dead Man”, was never seen in public but was believed to be Bose by many of his staunch followers. It explodes the myth that, the negative DNA and handwriting tests carried out in government labs disapproved that Bhagwanji was not Bose. The book even tells you of Dead Man’s imagination defying claims—like he secretly participated in the Vietnam war—and assertion that his coming out would spell troubles for India. We do love a good ol’ conspiracy theory and the book was much in demand soon after launch. How can book about money not be in the top 10 of corporate India’s reads? 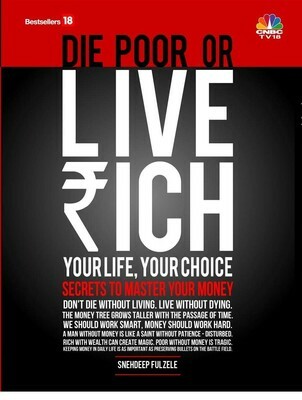 The book blurb says, the book helps readers to ‘become the master of money’ and learn to invite abundant money in your life, keep it and grow it. 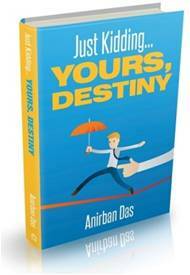 Read the book to find what is stopping you from achieving financial freedom. Along the way get answers to those questions, which puzzle all those who work so hard to earn money – Why will banks never make you rich? Why is inflation poisonous to money? Why should you stay in your own house and not a rented accommodation? Do you need to work harder to earn more money? Everybody loves Mark (off late anyway, that is). Users love his product. Employees love him. Investors love him and now the world is waking up to his ‘improbable’ brilliance. The author has figured out the five principles behind Facebook’s meteoric rice – the five P’s (now that is an ‘improbable’ co-incidence, but hey it’s catchy and easier to remember) : Passion, Purpose, People, Product and Partnerships. Looking at the popularity of the book, we won’t be surprised if a bunch of future billionaires are already at work on the next big thing. Banks tend to be boring and books about the banks are rarely of interest to people outside the industry. But this book is different (no really). Yes, it has all the usual stuff about the rise of HDFC while several other private banks started around the same time perished. What sets the book apartis a very interesting comparison the author has drawn between, the merger of HDFC bank and Times Bank and a crime drama ‘Rashomon’. 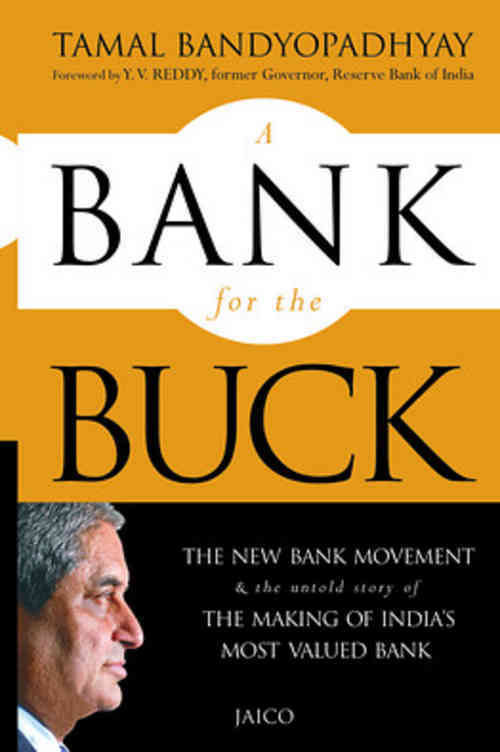 Just like the bank, the book too is among the top on our list. 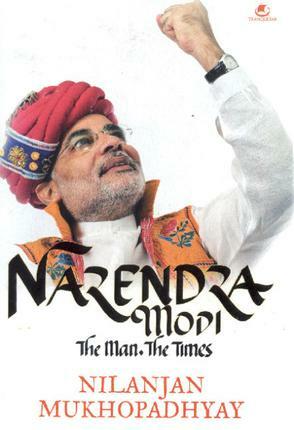 Keeping in with the times, there is a lot of interest in Narendra Modi – the man who many believe will be the next Prime Minister of India. Much has been written about the man, and this book is one more such attempt. The book traces the rise of Modi from his younger days of sloganeering and tea selling to his current interests in kurtas, designer pens and watches. We love cricket and We love comebacks. Put the two together and you have a book that’s much in demand. 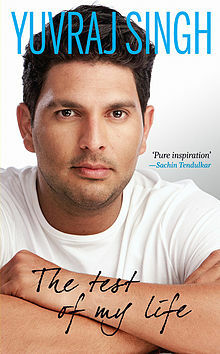 The book provides its readers with insights into the most traumatic period in the life of cricketer Yuvraj Singh, as he struggled to come to terms with the fact that he was afflicted with cancer. Filled with varied emotions, doubts, and fears, the book is a captivating story of how a human being can fight to survive, even in the toughest of circumstances. Go Yuvi Go! We love ya! The must read book of 2013! ‘Lean In’ is the outcome of a TED conference held in 2010 which revolved around the discussion that, there are very few women in leadership positions. Sandberg tells women that, they would never receive the same recognition as men, unless they are willing to make certain changes in order to prevent stagnation. She further throws light on the, current state of women in the corporate arena of America. She tells women to sit at the table, have faith in themselves, and shoot for the top. Sandberg also opens up to the readers by penning down her insecurities in college, and the time she cried in the presence of her boss. She also recounts the time when she had to negotiate her pay with Facebook. 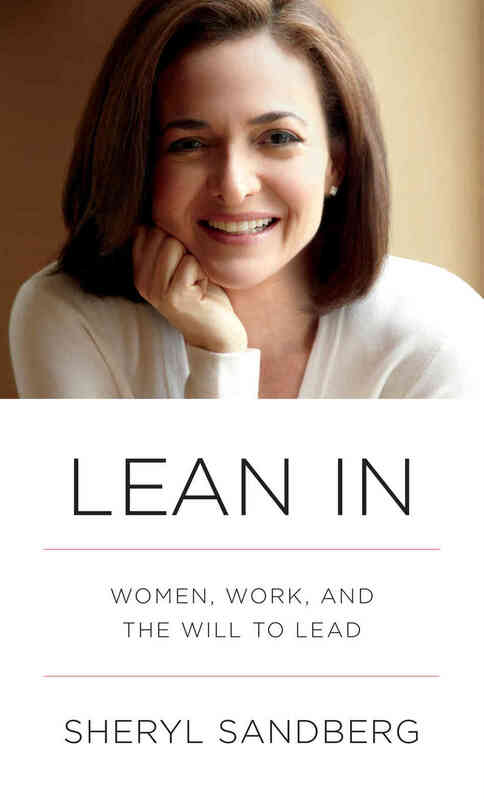 Lean In: Women, Work And The Will To Lead is a must-read for women who desire to overcome, their pre-conceived ideas and anxieties to achieve the success they always wanted. The book introduces readers to the ‘Indian’ way of management – far away from the goal-oriented, shareholder focused approach espoused by the western style management. The author uses stories, rituals and symbols from Indian mythology to provide a more subjective approach to doing business. 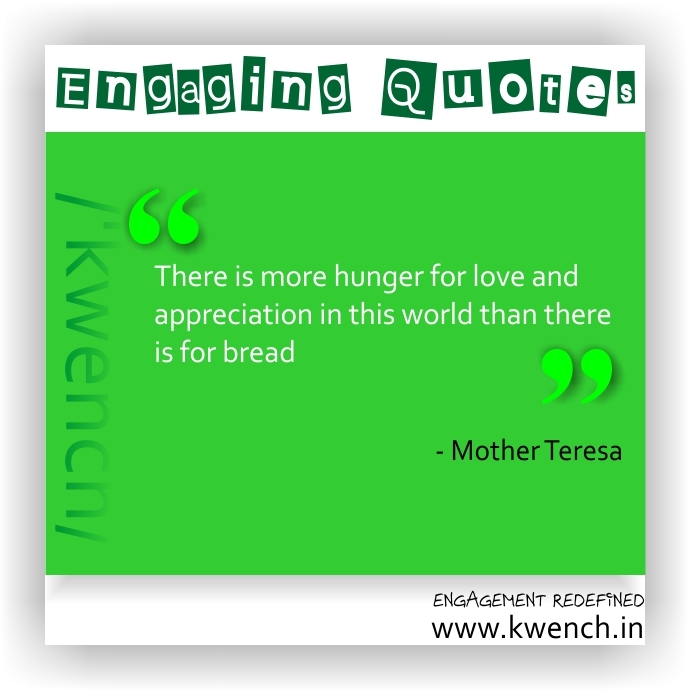 Instead of chasing wealth it tells us how to attract wealth. 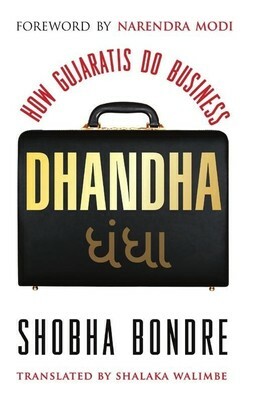 The book has 145 sutras, explained in great detail which establishes the linkage between business and belief. An original and radical book (as the blurb says), Business Sutra is top of the list on our Top 10 of 2013 in the Non-fiction category! Keep tuned for the part 2 of this post which will list the Top 10 of Fiction for this year! Till then, happy reading! 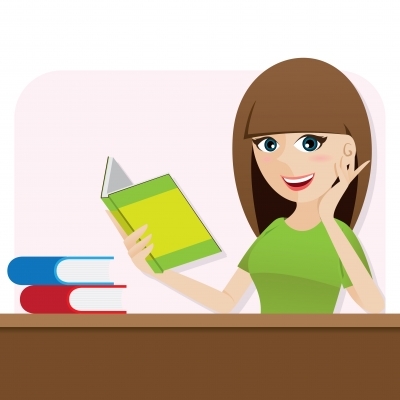 References for this post: Book blurbs of the books listed. I have a room full of books. They are stacked up on (and toppling from) every available piece of furniture. And now at ‘kwench, I work in a place that has books stacked from floor to ceiling – in every direction! There is no doubt about it – I am an incurable bibliophile. And yet when people ask me why I love reading, I often find myself struggling to explain exactly why. There is this excellent quote by Louis L’ Amour which I often turn to.